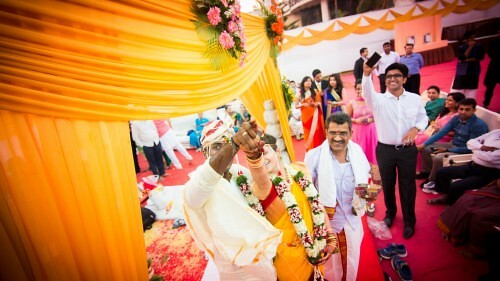 Rucha and Ajay, college sweethearts tied the knot on 11 Feb, 2015 amidst a lot of fanfare in a simple and classic wedding at Celebration Sports Club at Andheri, Lokhandwala, Mumbai. 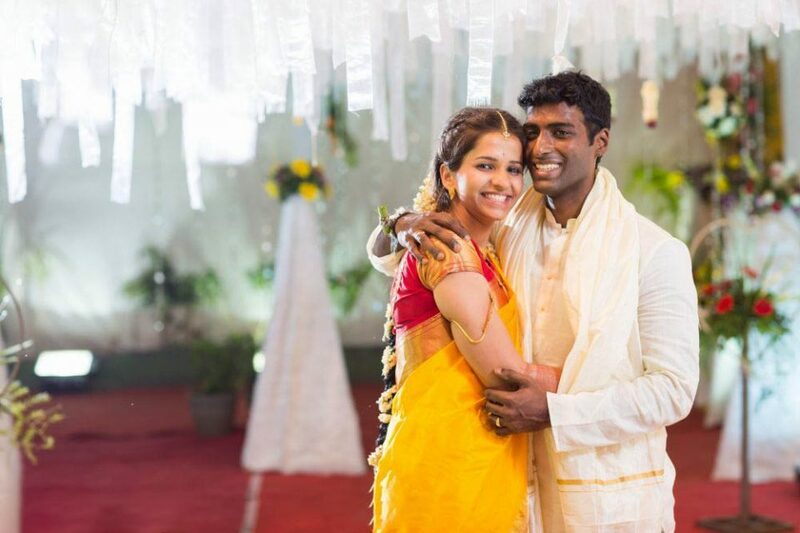 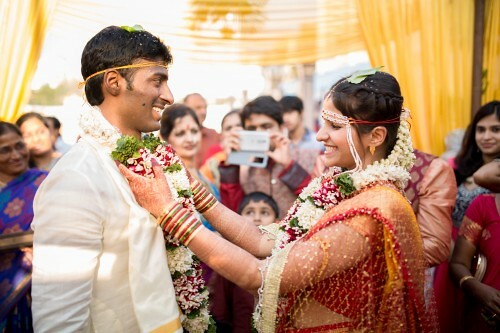 The two met in their college while doing MBA and that is where their chemistry sparked. 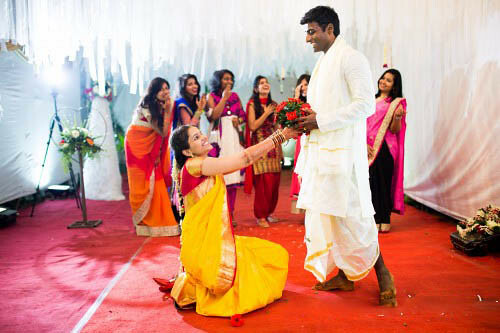 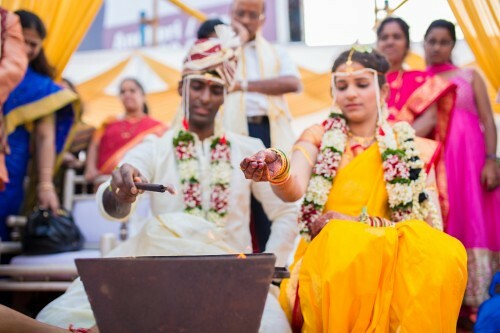 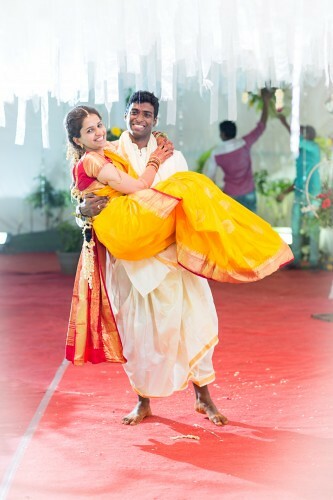 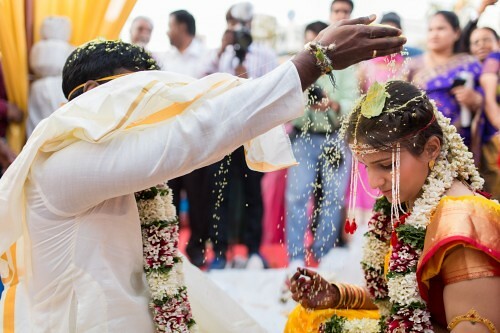 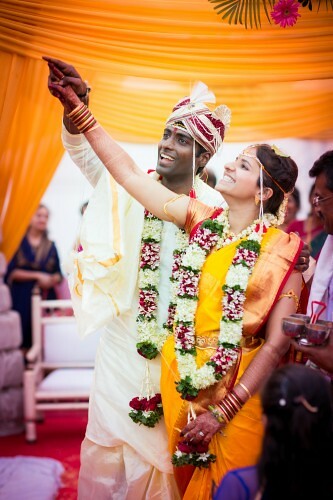 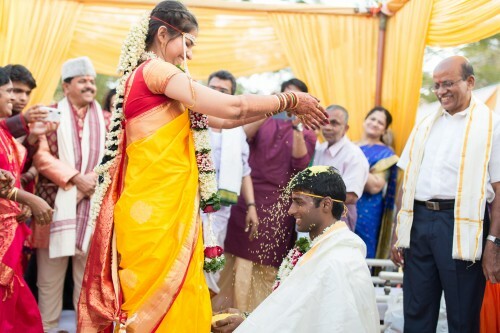 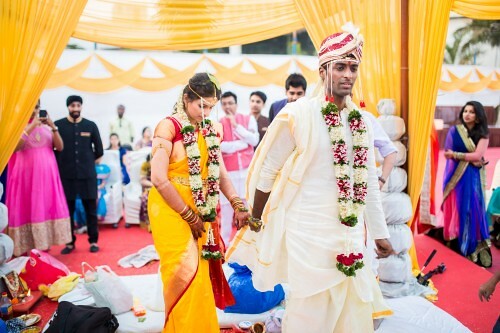 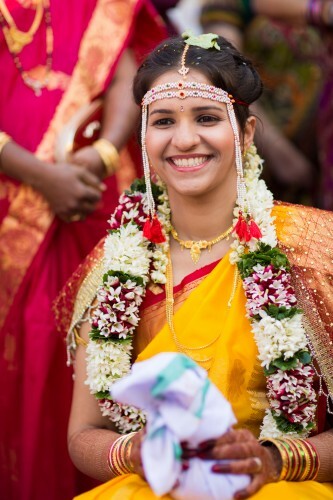 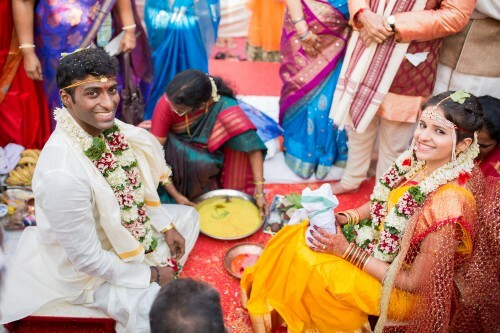 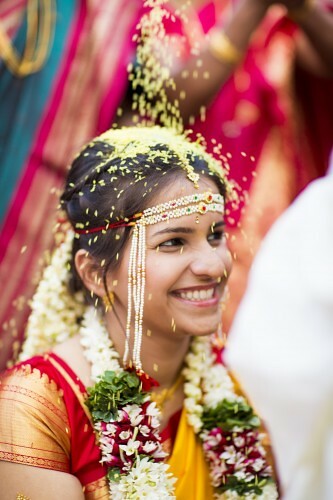 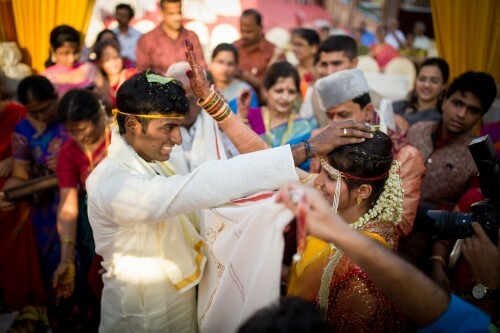 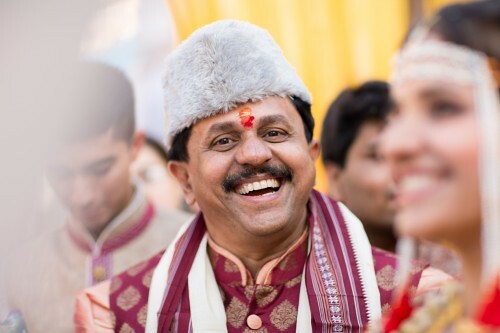 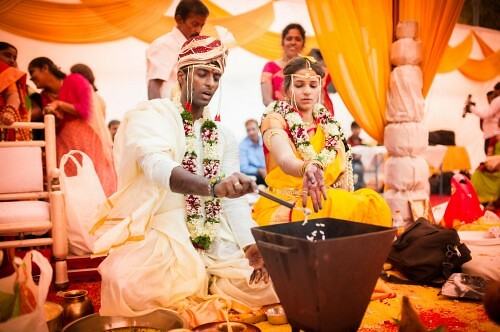 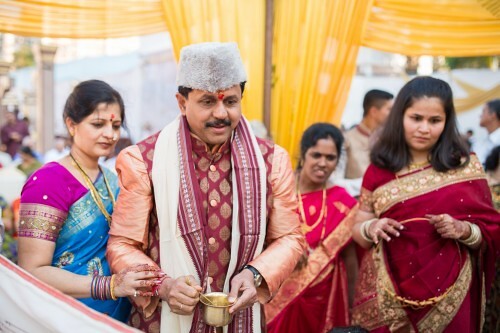 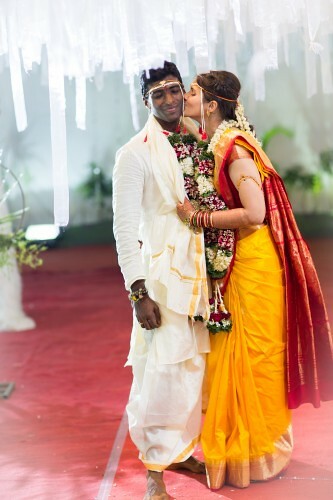 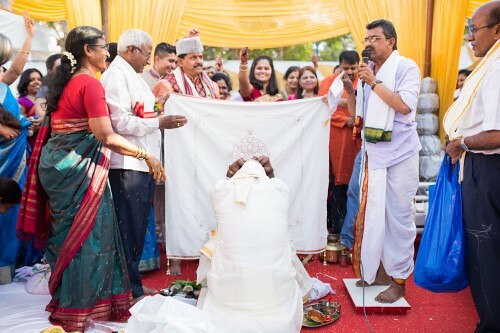 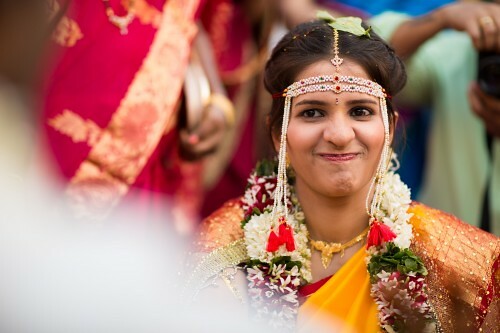 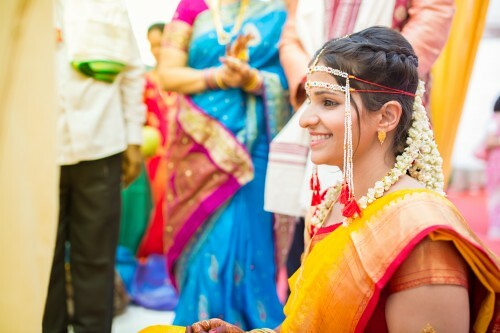 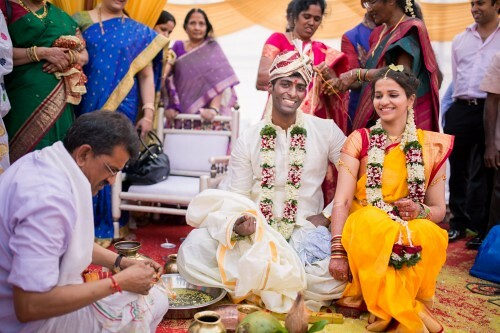 They had a cross cultural marriage with ceremonies from both their cultures viz Marathi (Rucha) and Telugu (Ajay). 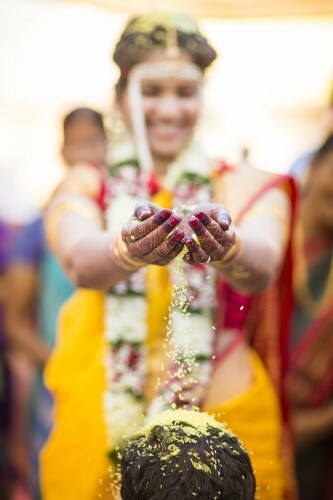 An afternoon wedding followed by an evening reception. 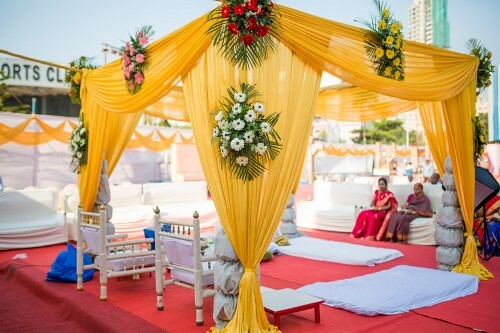 The stage was very nicely decorated and it was a pleasure photographing the couple with the artsy and royal setting. 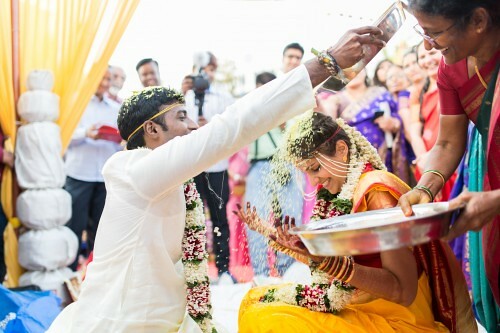 Now let the photographs do the talking.